Clth, 6.75 x 9 in. / 88 pgs / 40 color. 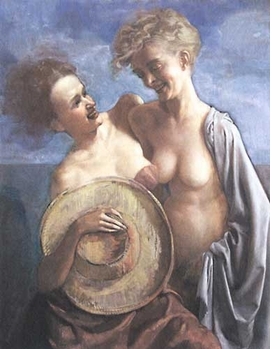 Featured image, reproduced from The Dogwood Thieves, is an early iteration of Currin's iconic painting of the same name. FORMAT: Clth, 6.75 x 9 in. / 88 pgs / 40 color.